﻿﻿DESCRIPTION: Added lava biome and other fixes. Changed UI; made it more compact. Explosions now hurt players correctly. ﻿DESCRIPTION: Added some helpful hints. Full screen control layout for keyboard and controller. People are missing the help menu/text at the bottom right. Doors now will give you helpful hints. Players are now labeled in multiplayer. 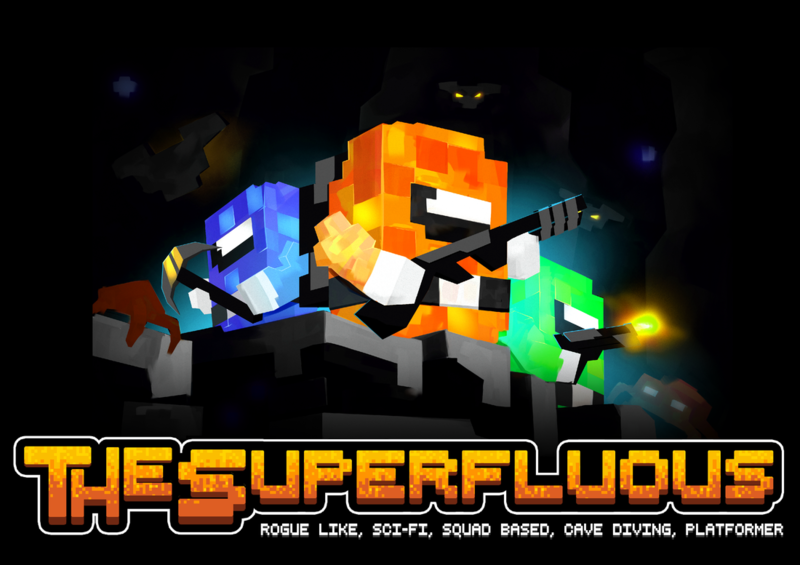 DESCRIPTION: First public release of The Superfluous. Two biomes (cave and water) with over 16 different enemies. Single player and 2 player Co-Op Multiplayer. Controller/gamepad support (only tested with XBox 360 controller). Unlocked all current squad-mates in this demo. 15 different weapons (more planned). Spend your jewels on upgrades for your equipment. 3 and 4 player multiplayer. Squad-mate leveling system, XP, and Squad-mate perks. Other biomes (lava and jungle?). The Sound Track; well there is music but only because it sounded dead without it.